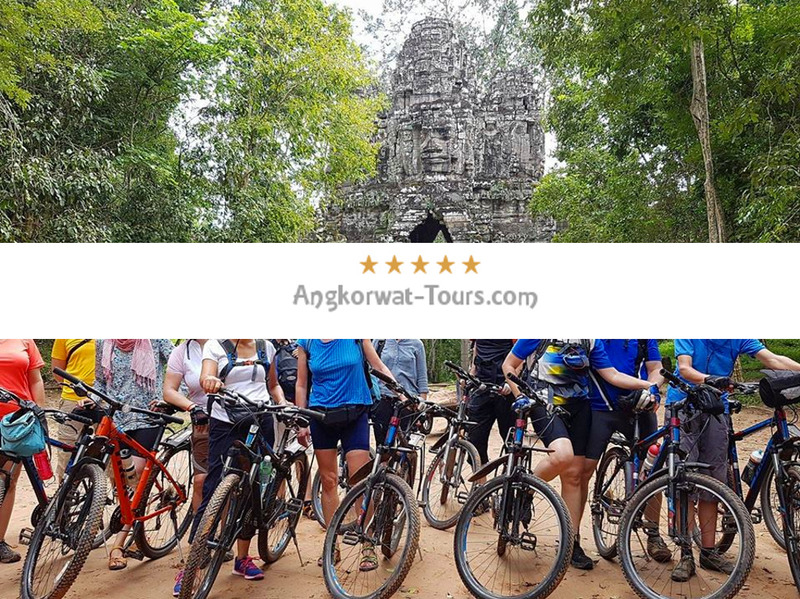 Our Angkor Wat Bicycle Tour will give you a very special insight into the landscape, culture and history of Cambodia and the Archaeological Park of Angkor. With your bicycle you feel so close to the life of the people and the surroundings while cycling on the small dirt roads and jungle passes. 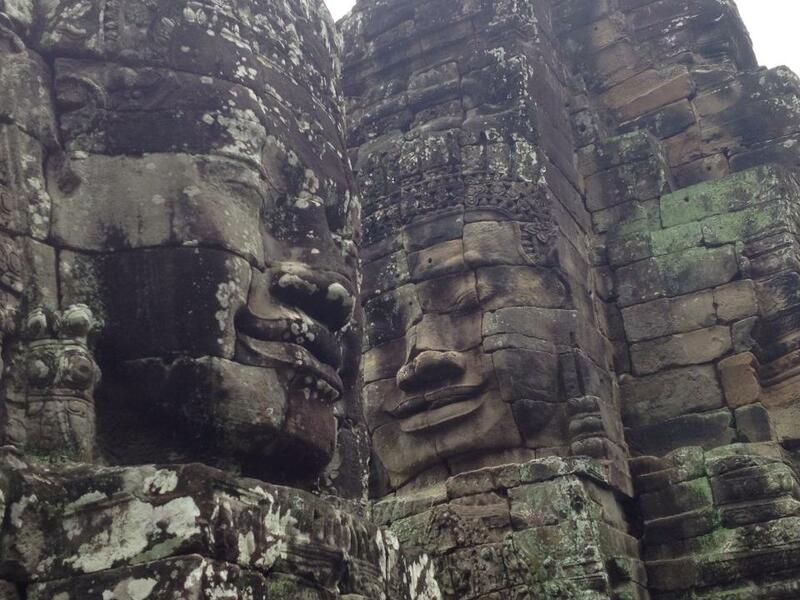 It is unique way to experience Angkor. 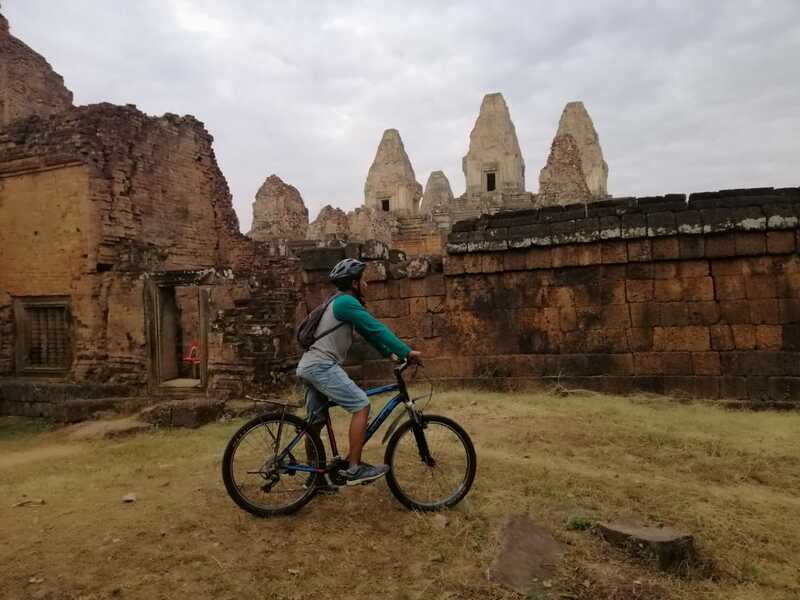 After breakfast we start from our bike tour to explore the Angkor park and the world renown temples, the national pride to all Khmers after a horrific war fought from 1967 to 1975. 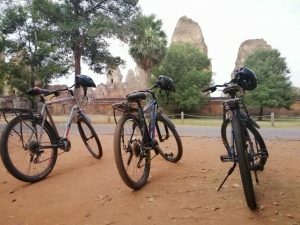 You can choose if you want to be picked up by car in your hotel and drop-off at a starting point or if you want to start by bike from your hotel. 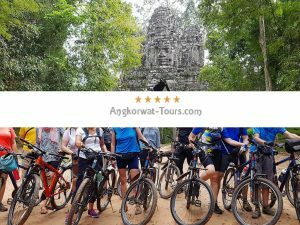 From your selected starting point, we begin our biking tour and visit the famous temples of the Archaeological Park of Angkor. 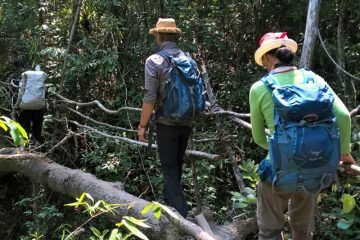 We will see the most beautiful sights of Angkor by following small dirt roads and narrow jungle paths bypassing the main tourist roads. 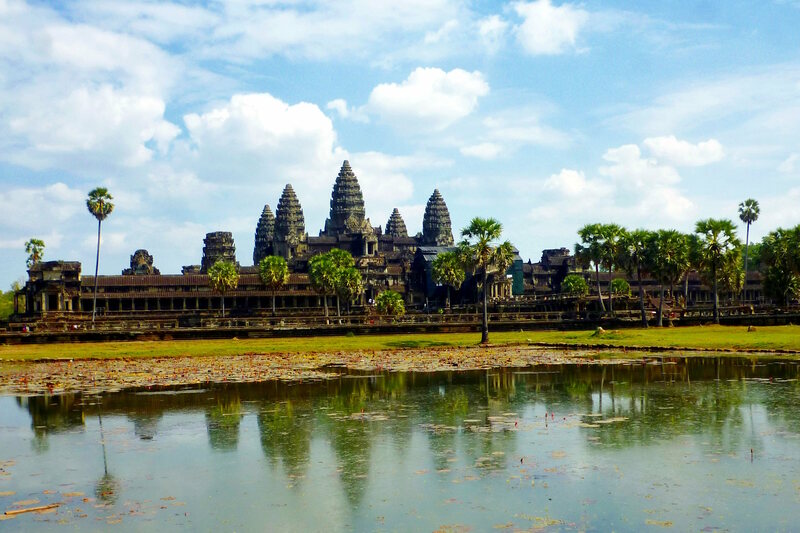 Angkor Wat is the biggest, most famous and iconic temple which was declared UNESCO World Heritage in 1992. 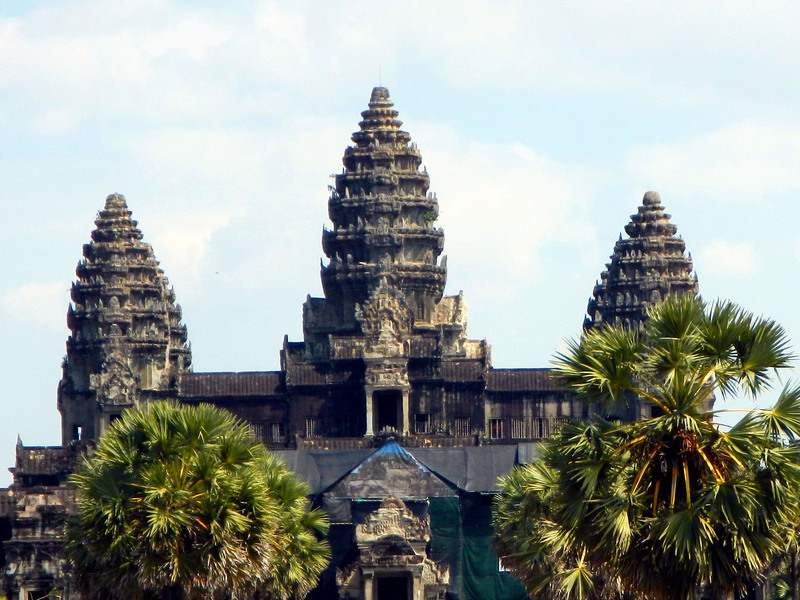 Angkor Wat means “heaven on earth” and symbolizes the largest Hindu temple complex as well as the largest religious monument in the whole world. Angkor Wat is the national symbol of Cambodia, a representation of Mount Meru on earth, the residence of ancient gods in the Hindu faith. 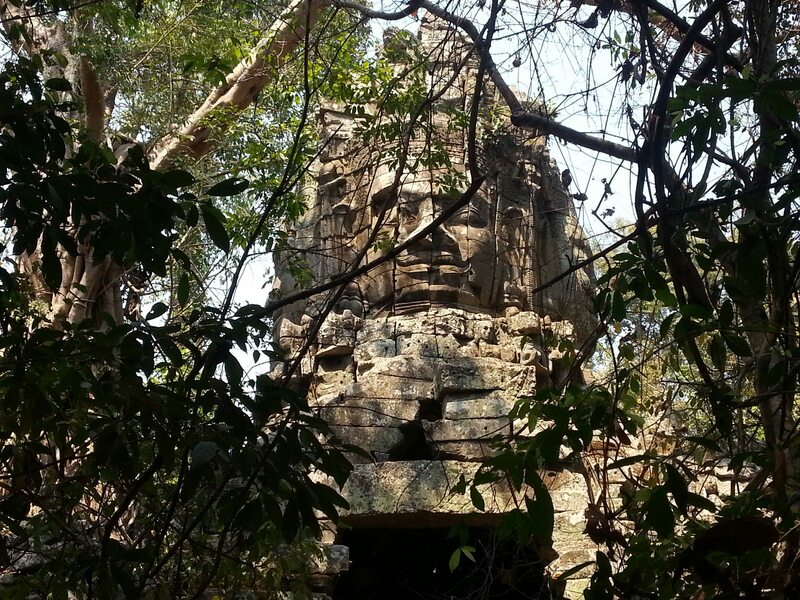 You will explore the various temples of Angkor. 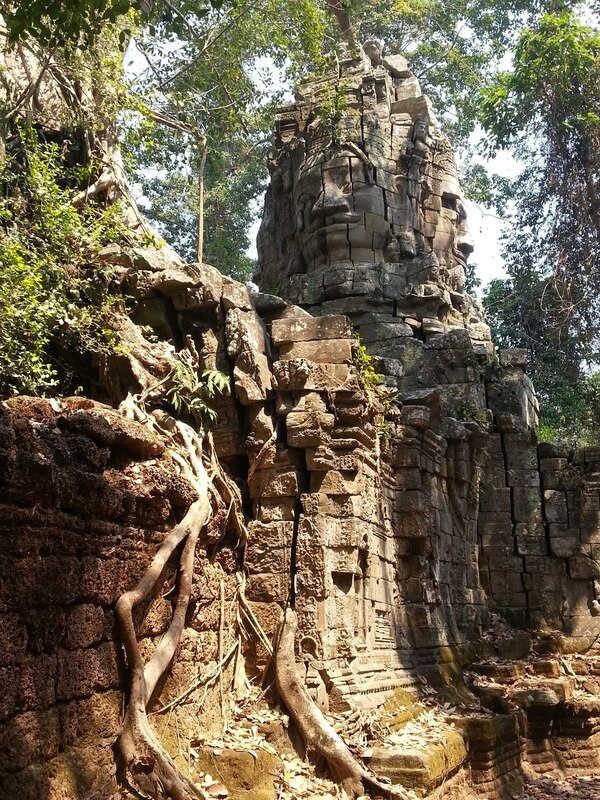 Angkor Thom and Bayon with four faces towers temples and the jungle temple Ta Prohm where the movie Tomb Raider filmed as well as various smaller temples depending on the route taken. Our guide will not only explain the fascinating historical facts of the world heritage sights, but he will also see for the physical wellbeing of the group by taking water breaks and using paths to suit the bikers fitness. Water is included and will be carried by our support vehicle which gives safety if a participant can’t continue by bicycle. We will have a lunch break where we serve a traditional Cambodian or international meal included in the price. 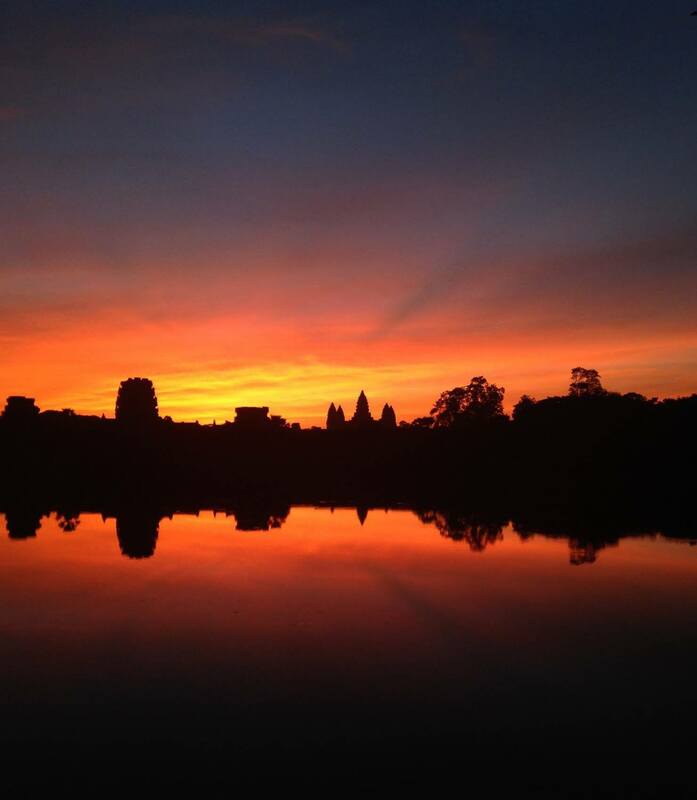 If you choose the sunset option, we continue to the pyramid of Pre Rup to watch the sunset which is usually a majestic view of red sky and the sun going down in the picturesque environment of the temples of the UNESCO World Heritage Site of Angkor and the rice fields of the Eastern Baray. 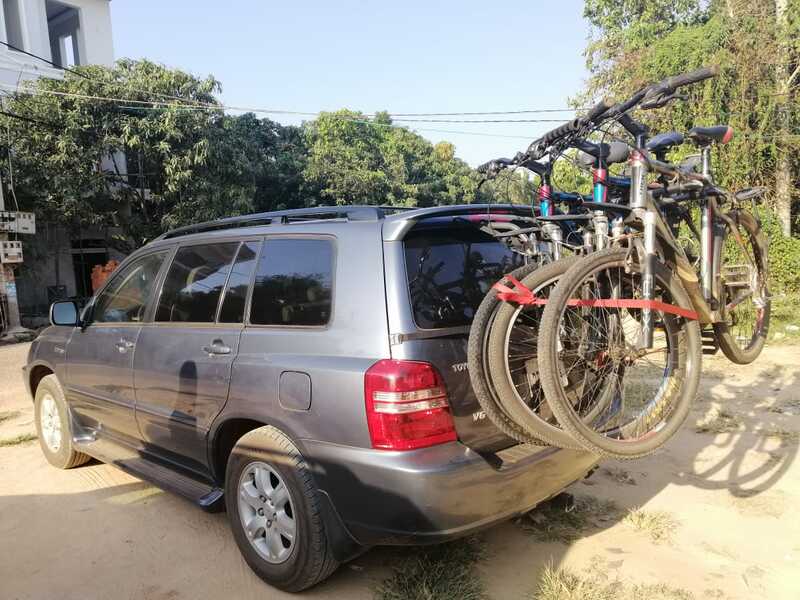 With the unforgettable picture we will start our return to the hotel by our service vehicle and finish our one-day bicycle tour in Angkor. You can use the booking form on this page to book the tour, choosing online payment or payment in cash with you guide on the day of the tour. In the form you can let us know all the required information like the hotel for the pick-up, the optional sunset and if you choose a private or a shared tour. 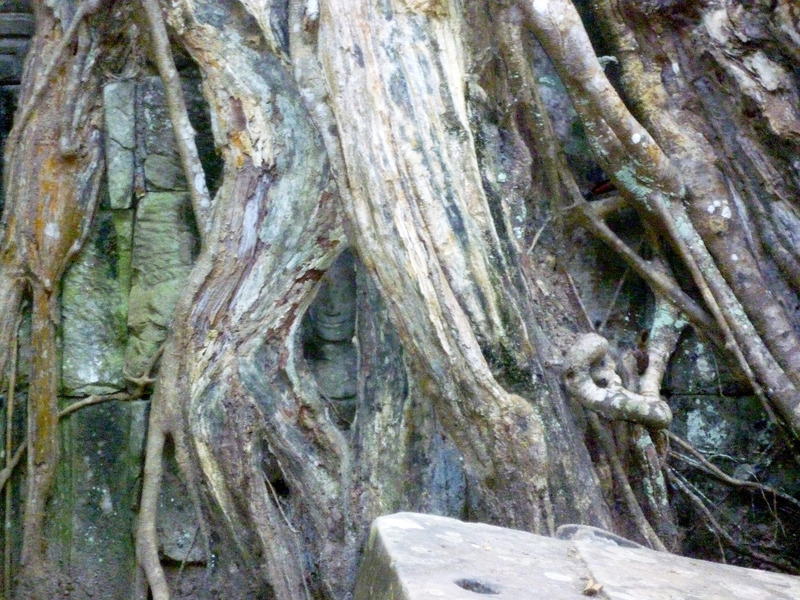 Private Tour: It is ensured that you can experience the tour without other people in your group. It is more flexible if you want to stay longer at some places and you can cycle according to your fitness. Shared Tour – Save up to 60%: If you choose to share the tour we will add other guests to the tour. Your big advantage is that in the end you pay the price per person according to the group size and you can save up to 60%. Should there not be any further bookings, you will get a 10 USD discount for your group in any case. You will receive the discount after the tour. 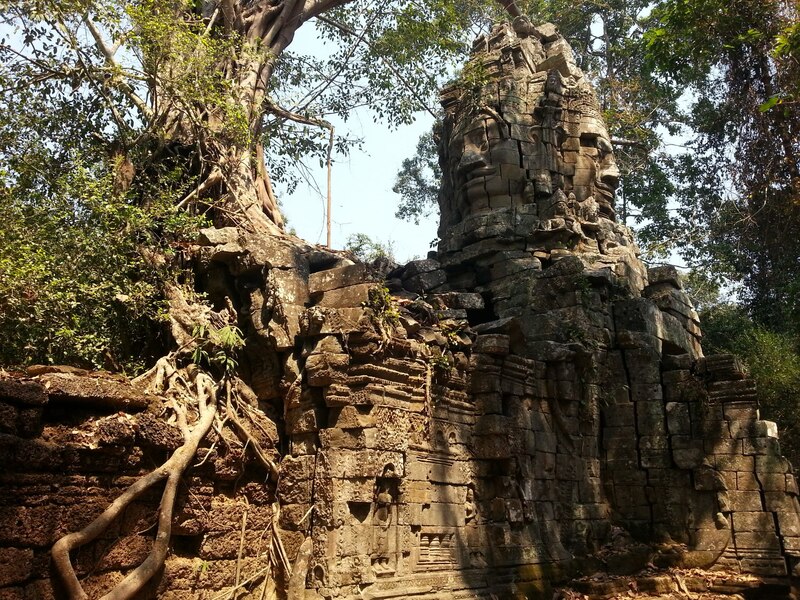 The Entrace fee is not included in the price because it is charged by the Authority for the Protection and Management of Angkor and the Region of Siem Reap at the sales booth on road to Angkor. 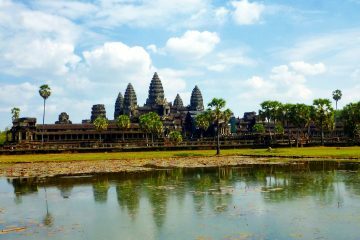 The price for the Angkor Wat One Day Passs: 37 USD.